Meet Molly, who was born in approximately 1998. She arrived at Folly’s in July 2018, having been handed over to us by her owner who was suffering from ill health and was no longer able to look after her. She settled in very quickly to life at Folly’s. She is very vocal, and has formed a special bond with Dragonfly. 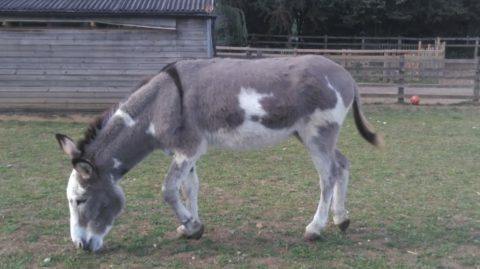 Most of our donkeys have been rescued from mistreatment & abuse or from people who did not have the knowledge to give them proper care and attention. At Folly’s Farm we give them all love, care and a comfortable home for the rest of their lives.